Mortgage interest rates change daily, Monday through Friday, and may change during the day if market events justify their movement. Although interest rates are tied directly to the "mortgage backed securities" (MBS) market, an easy indicator for their movement is the 10-Year Treasury bond. The bond information is readily available on cable news programs and in daily newspapers. Usually what you will see posted is the bond yield in a percentage form (i.e. 4.75%). When the yield goes up, rates go up and vice versa. While interest rate movements are not strictly tied to such movements in the bond, you can use it as an indicator of what also may be happening to home loan rates. Besides numerous outside influences which can effect the mortgage market just like the stock market (i.e. world events), there are other direct influences which may make interest rates change. Because mortgage interest rates change daily; over the course of several weeks or months, these fluctuations can add up to big changes. For instance, if interest rates went from an average of 5.77 percent to 6.33 percent it could add $100 to the monthly payment on a $150,000 mortgage. Mortgages can be structured in a multitude of ways, but when it comes to the interest rate, there are really only two varieties of mortgages: fixed-rate and adjustable-rate. In a fixed-rate mortgage, the interest rate and your monthly payment remain unchanged for the life of the loan (until you pay off the mortgage, refinance or sell your home, whichever comes first). By contrast, the interest rate of an adjustable-rate mortgage (ARM) changes – which means your payment can change too. If interest rates rise, your payments could go up. If rates fall, your payments could go down. Because you, the borrower, are assuming more risk (via changing payments), lenders are willing to charge you less interest. Hybrid adjustable-rate mortgages offer an initial period of fixed-rate interest – usually three, five, or seven years. (The longer the fixed-rate period, the less of a discount on the rate you tend to get.) Hybrid ARMs can allow borrowers to benefit from an adjustable-rate interest rate with fixed-rate predictability. What causes interest rates to rise and fall? 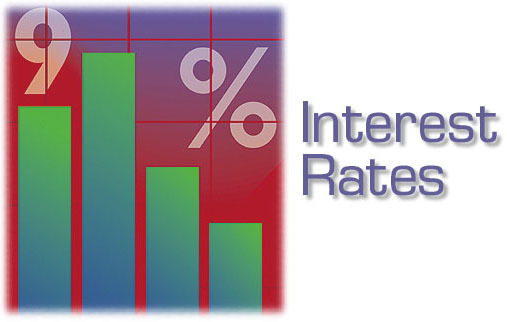 Economic factors influence interest rates. Both short- and long-term interest rates are affected by economic factors such as inflation, the strength of the U.S. dollar and the pace of economic growth. For example, strong economic growth can lead to inflation. If the Fed becomes concerned about inflation, it may attempt to cool the economy by raising the Fed funds rate, as it did in 2004 and 2005. On the other hand, if the economy slows down, the Fed may lower the Fed funds rate to stimulate economic growth, as we witnessed in 2001-2003. Similarly, economic factors also affect long-term interest rates. For example, over the summer of 2003 and then again in the spring of 2004, long-term interest rates rose from historic lows as the economy showed signs of strength. It should be noted that short- and long-term interest rates don't necessarily move in tandem. While short-term rates rose in 2004 and 2005, long-term rates remained relatively low. The Federal Reserve does not control mortgage rates. The Federal Reserve controls the Fed Funds Rate. The Fed Funds Rate is a short-term interest rate, and its function is to make money more costly to borrow, or less costly to borrow for homeowners and business owners. This works because many bank loans are based on the Prime Rate (which is 3.000% higher than the Fed Funds Rate). As Fed Funds Rate goes up, so does Prime Rate. And, as Prime Rate goes up, so does the cost of borrowing money. The reverse is true, too, if the Fed Funds Rate drops. Nowhere, you'll notice, do we mention mortgage rates in connection with the Fed Funds Rate. That's because mortgage rates are based on the mortgage-backed securities market -- a global exchange similar to the NYSE or NASDAQ. The Fed doesn't operate in these markets. Mortgage-backed bonds are considered long-term products and pricing is based on long-term expectations of the U.S. economy and the U.S. dollar. Loans above $417,000 do not conform to Fannie Mae and Freddie Mac guidelines, which is why they are called "non-conforming" loans, or "jumbo" loans. These loans are packaged into different pools and sold to different investors, not Freddie Mac or Fannie Mae. Then they are securitized and for the most part, sold as mortgage backed securities as well. How are short- and long-term interest rates different? The Federal Reserve Board controls the federal funds rate. The Federal Reserve Board (Fed) has the power to raise or lower the federal funds target rate (Fed funds rate), which in turn influences the market for shorter-term securities. The Fed funds rate is the rate banks charge other banks for overnight loans. The Fed may raise the rate to keep inflation in check or lower it to stimulate the economy. Long-term rates are market driven. Long-term interest rates, as represented by yields of the 10-year or 30-year Treasury bond, tend to move in anticipation of changes in the economy and inflation. 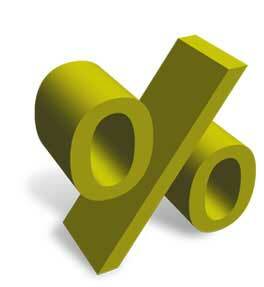 U.S. mortgage rates are considered to be at an almost all time low. Back in the late 70s and well into the late 80s, it was not uncommon for someone to have a double-digit interest rate on their mortgage loan. In fact, back in December of 1980, interest rates averaged 21.50 percent on mortgage loans. Someone borrowing $200,000 on a 30-year loan term during that year would have a monthly payment of $3,589. With today's interest rates, a $3,589 payment on a 30 year loan would mean that you have a $630,000 house. During the last three decades, interest rates have stayed relatively low. The rate being paid now on a 30-year mortgage loan is very similar to the rate that was paid back in the 60s. Between 1973 and 1990, double-digit interest rates were the norm. Rates didn't fall to single-digits until 1991, when the average annual rate on a 30-year mortgage loan was 9.25.